Intelligence analysts want to explore the structure of social networks to predict the performance of terrorist groups. 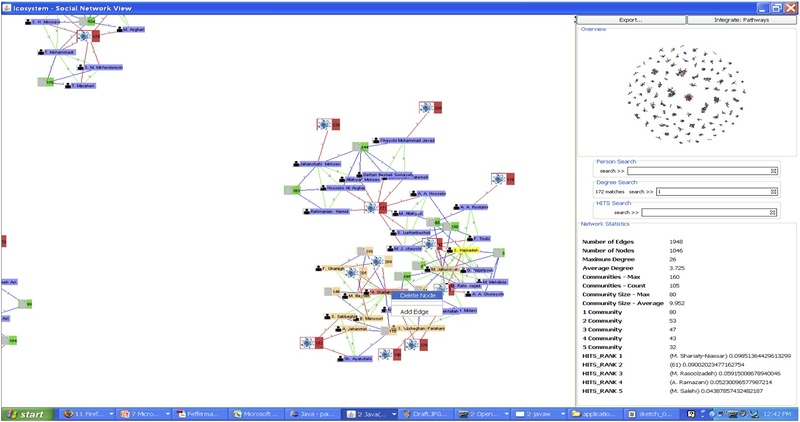 Icosystem built a visual, interactive exploratory data mining tool for social networks tied to an agent-based simulation of group performance. 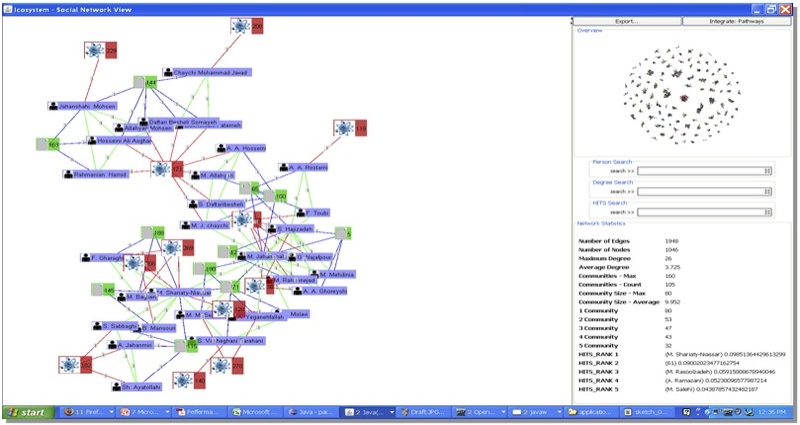 Network theory is used to compute the structural properties of the social graph and the social status of individual nodes. Modeled the dynamic effects among leadership, military, intelligence, industrial/science sectors, terrorist groups. Identified points of leverage in the network and strategies for gaining information or influencing interest in material, knowledge, and use.